AS STURDY AS YOUR RESOLVE. 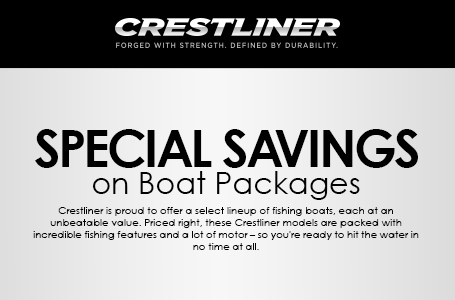 This aluminum duck boat is built with Crestliner’s legendary all-welded aluminum hull, so you know it’ll be durable enough to handle whatever you throw at it or in. it. The 1660 Retriever is balanced for both hunting or fishing, storage designed to hold rods and tackle as much as firearms and decoys. Any game is your game in a Retriever. This in stock 1660 Retriever SC Is powered By a Mercury 60ELPTEFI 4 Stroke Outboard Motor. 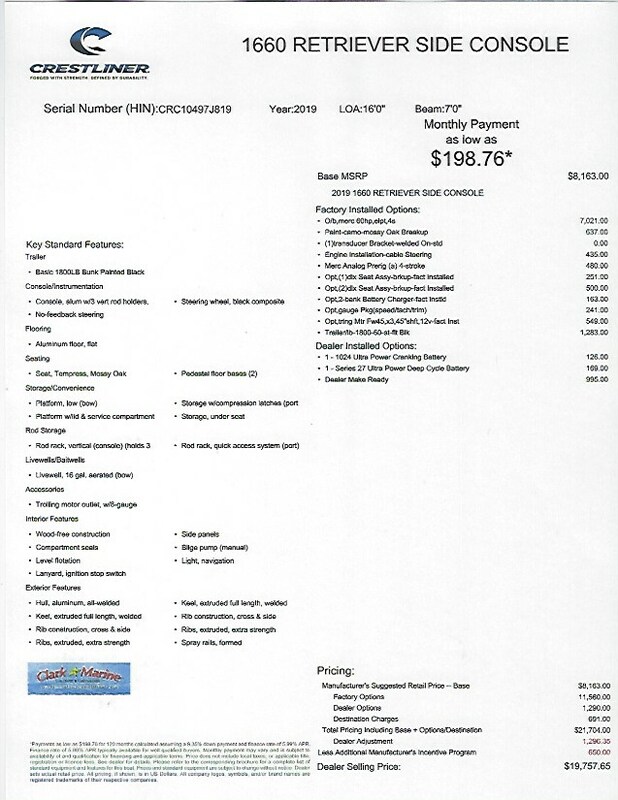 Options Include, Camo-Mossy oak Breakup Paint, Welded Transducer Bracket, optional Gauge Package - Tachometer, Trim Speedometer, 3 Deluxe Folding Fish Chairs, Optional 2 Bank Charger, Motorguide FW45 X3 45" Shaft 12 Volt Trolling Motor, Transom Tie Downs, Sorry - This engine includes the $150.00 Tariff Charge. Also Included; 1800LB Karavan Trailer with Tongue Jack, Flat Black. 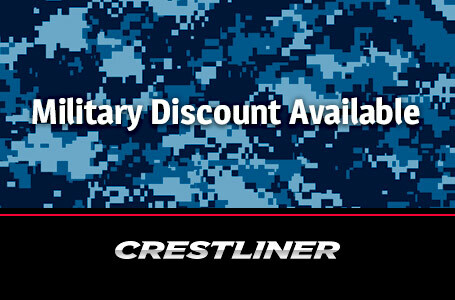 This aluminum duck boat is built with Crestliner's legendary all-welded aluminum hull, so you know it'll be durable enough to handle whatever you throw at it or in. it. The 1660 Retriever is balanced for both hunting or fishing, storage designed to hold rods and tackle as much as firearms and decoys. 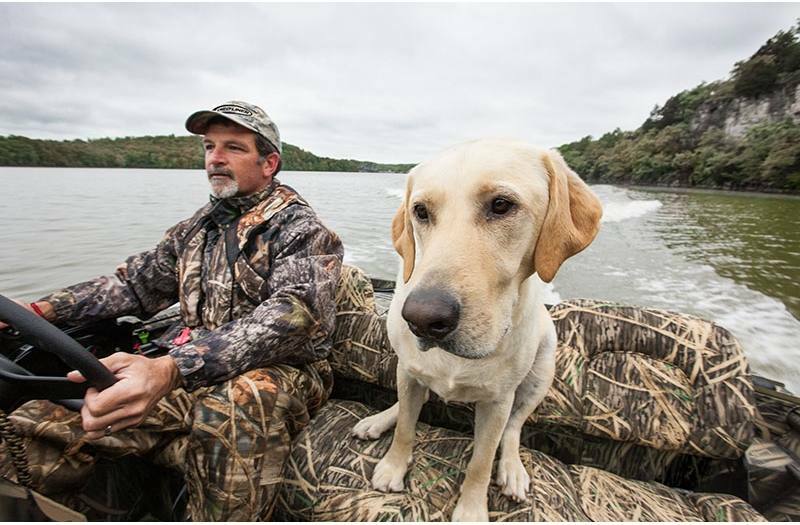 Any game is your game in a Retriever. 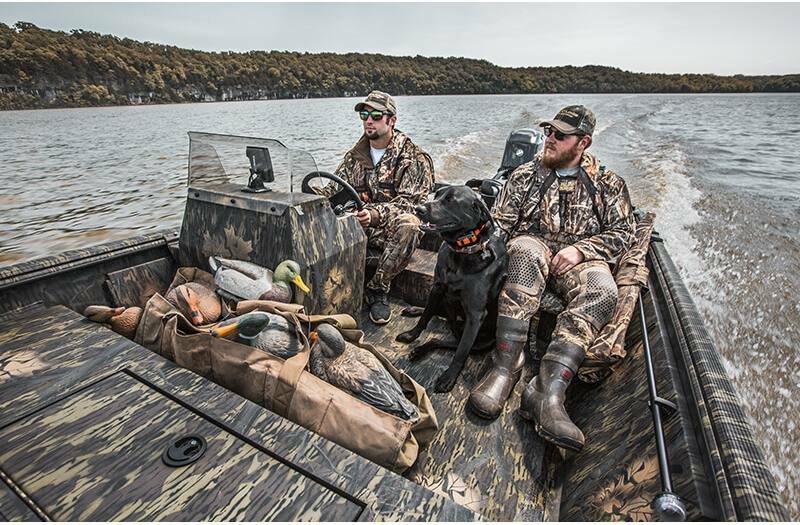 Bow Storage: A spacious, lockable compartment in the bow deck keeps gear secure, stowed away and dry. Rod Storage: Portside and console rod racks give you plenty of space to store your rods. Port rod rack holds four rods; vertical rod holders on the console hold three. Casting Platforms: Bow and stern casting platforms feature abundant storage and room to fish. Gunbox: Optional gunbox with rod tubes and cushion allows you to bring whatever you need to hunt or angle. Boat/Motor/Trailer Height: 5 ft.8 in. 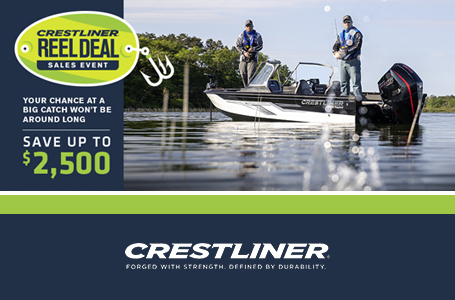 Weight (Boat only, dry): 680 lb. Max Weight Capacity: 1001 lb.